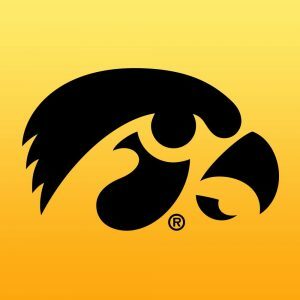 GREENSBORO, N.C. – The University of Iowa Hawkeyes women’s basketball team advanced to the Elite 8 after a 79-61 victory over North Carolina State Saturday. Three Hawkeyes scored in double figures. They include: Megan Gustafson (27), Hannah Stewart (16), and Tania Davis (10). 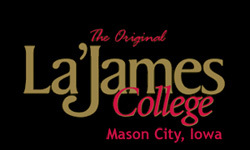 Former Mason City Mohawk Mackenzie Meyer scored 9 points and had 4 assists. Senior Megan Gustafson registered her 33rd double-double (27 points, 12 rebounds) of the season, tying the NCAA record (Courtney Paris, 2006, 2007; Natalie Butler (George Mason, 2018). Senior Hannah Stewart registered her third career double-double with 16 points and 11 rebounds. She’s registered all three double-doubles this season. The Hawkeyes registered their 29th win of the season, matching the highest win total in program history (29-2, 1987-88). 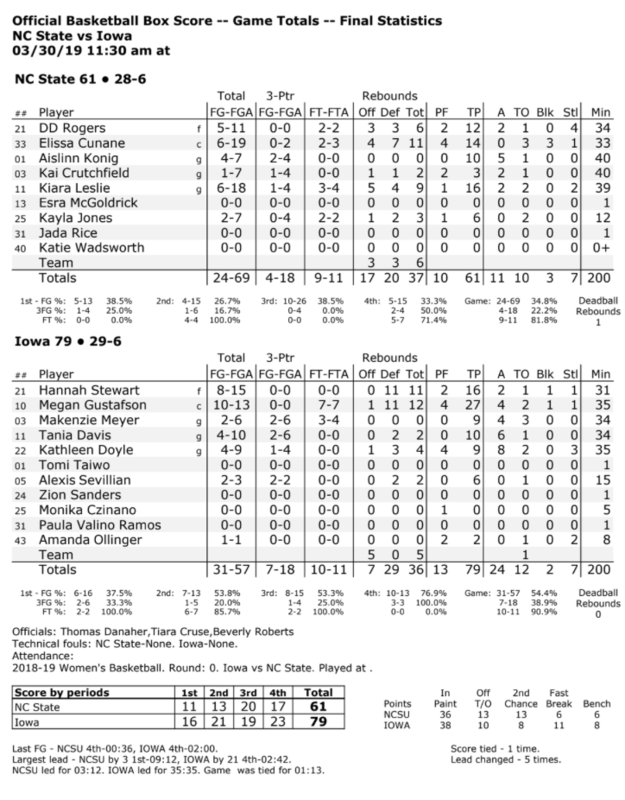 Iowa registered 24 assists on 31 made field goals. Iowa advances to face #1 Baylor for a trip to the Final Four.